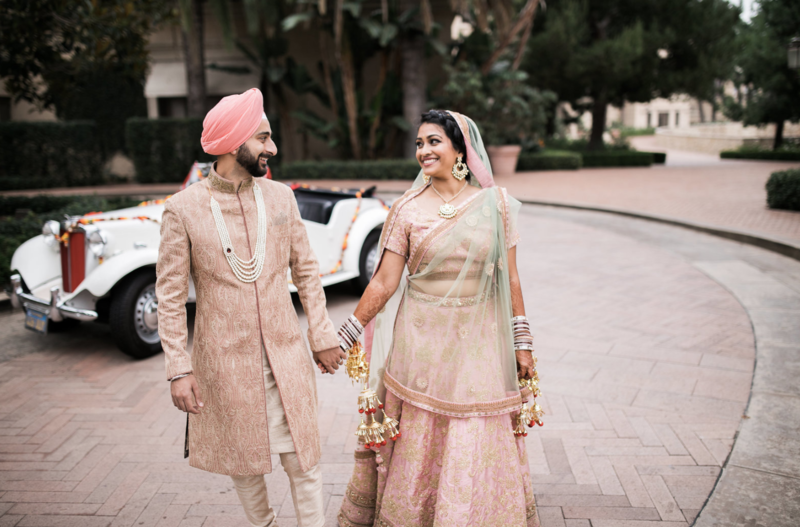 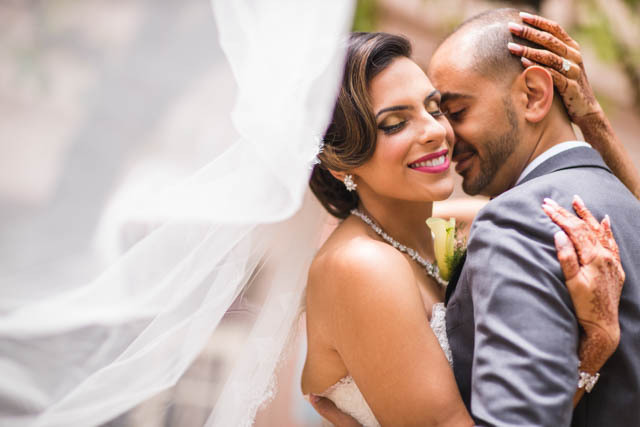 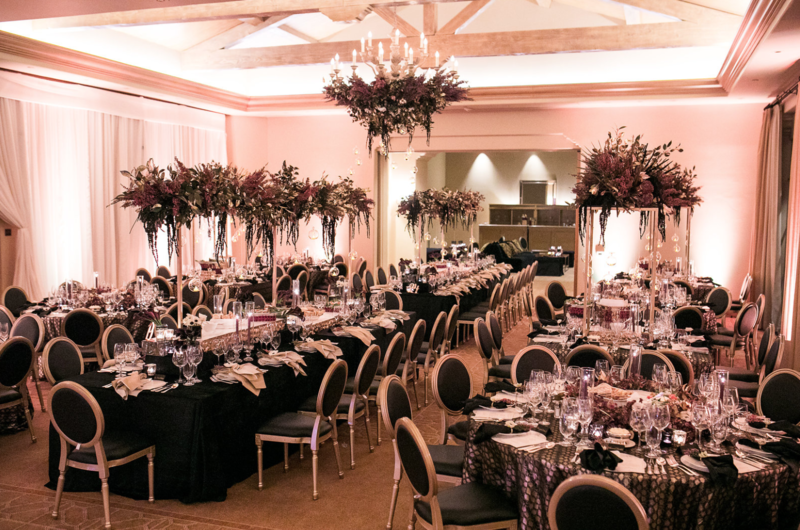 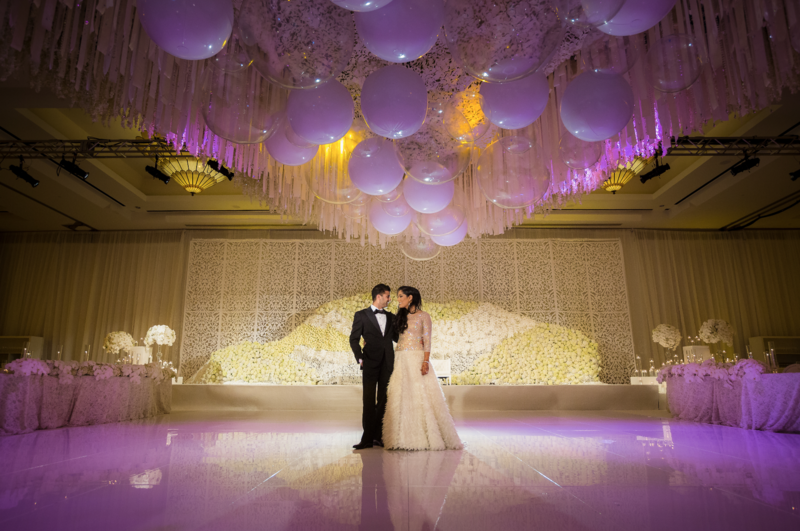 Aditi and Hans’ 3-day Indian wedding celebration in Orange County was one of our favorite designs of the year! 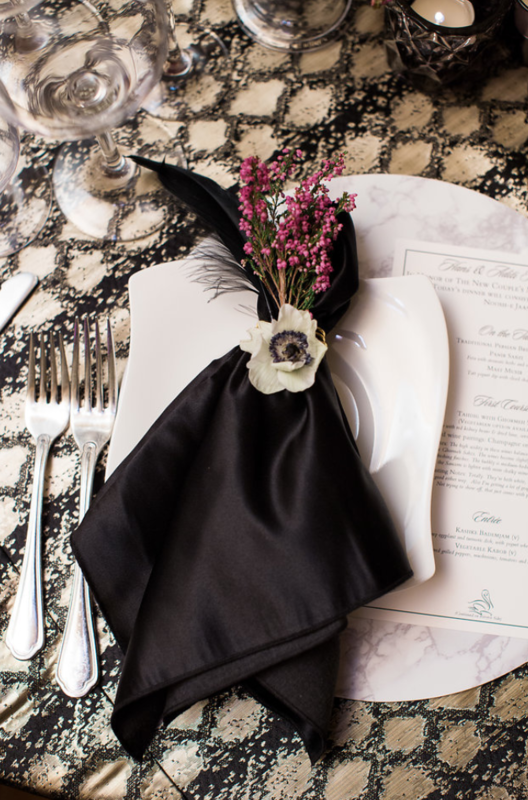 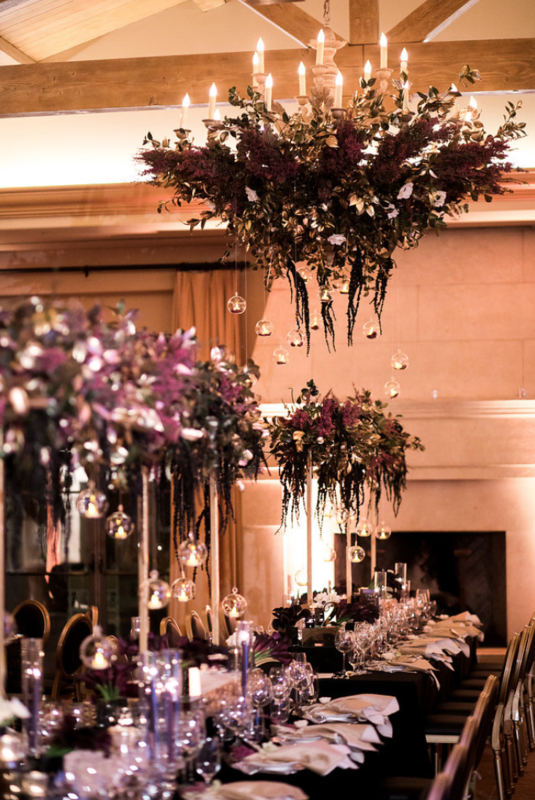 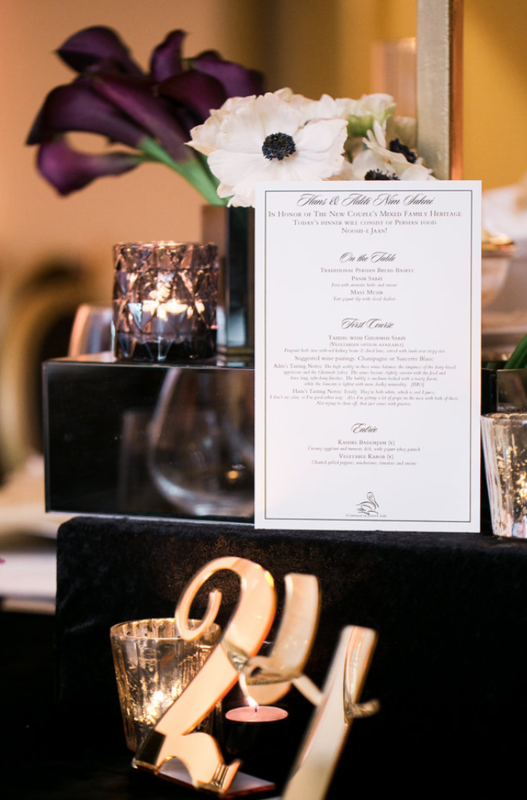 Because this wedding has so much style — we are reliving this design, one-day-at-a-time. 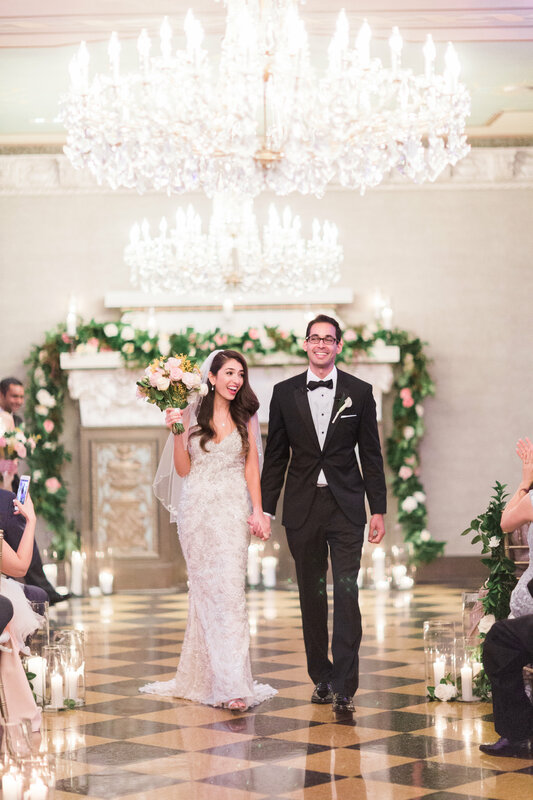 And starting with the showstopping reception on Day 3 because, well, THIS GOWN. 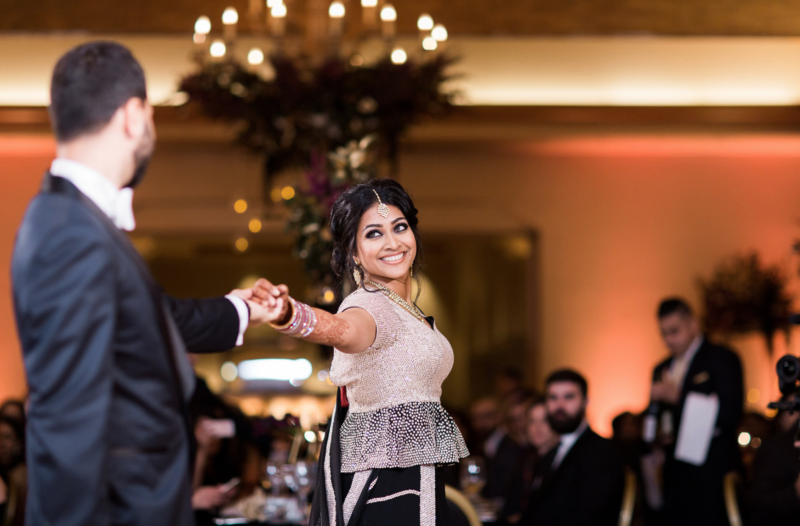 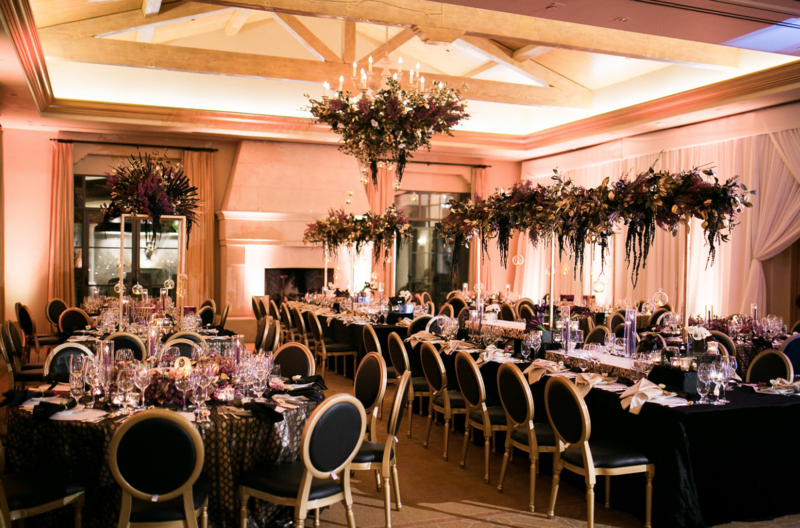 Aditi’s glamorous dress inspired our Art Deco design with a non-traditional Indian color scheme of black and gold at Pelican Hill. 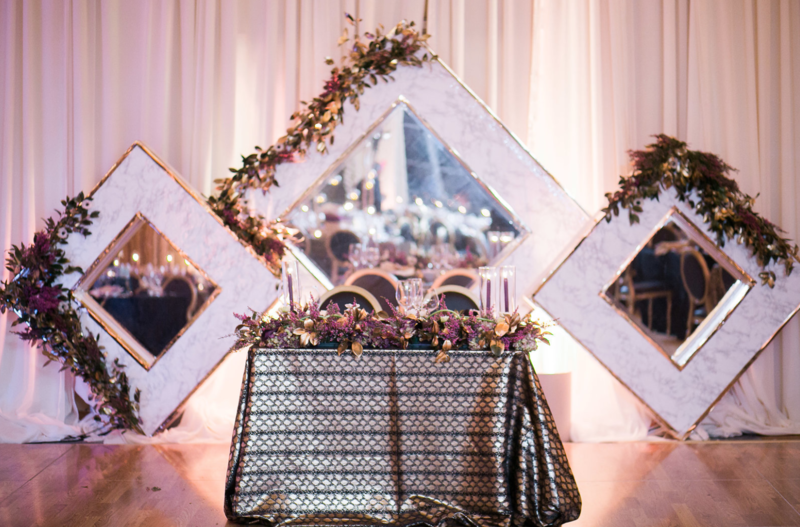 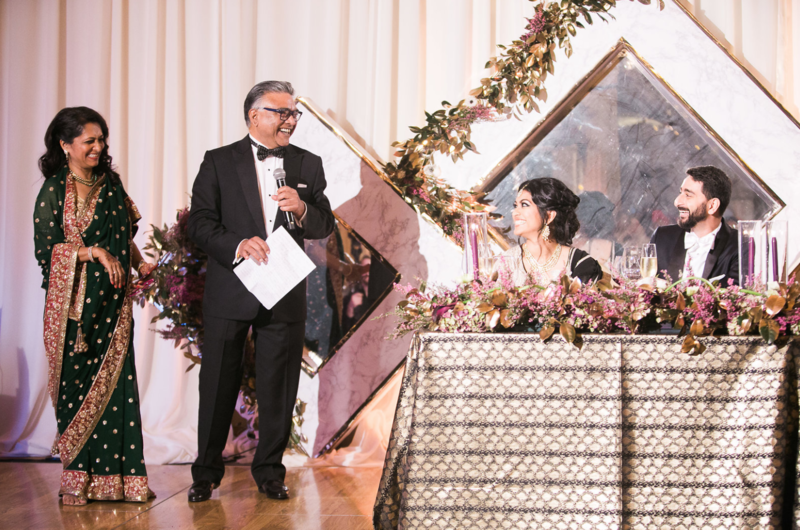 The key design elements we focused on for Aditi and Han’s reception included this mirrored geometric diamond backdrop, that complemented the pattern in Aditi’s gown, centered behind our sweetheart table, dressed in the signature black Viper linen from Luxe Linen, and floral chandeliers ,created by Shawna Yamamoto, draped in black hanging amaranthus, gold-painted leaves, aubergine calla lilies, black and white anemone, and hanging glass balls with LED votives. 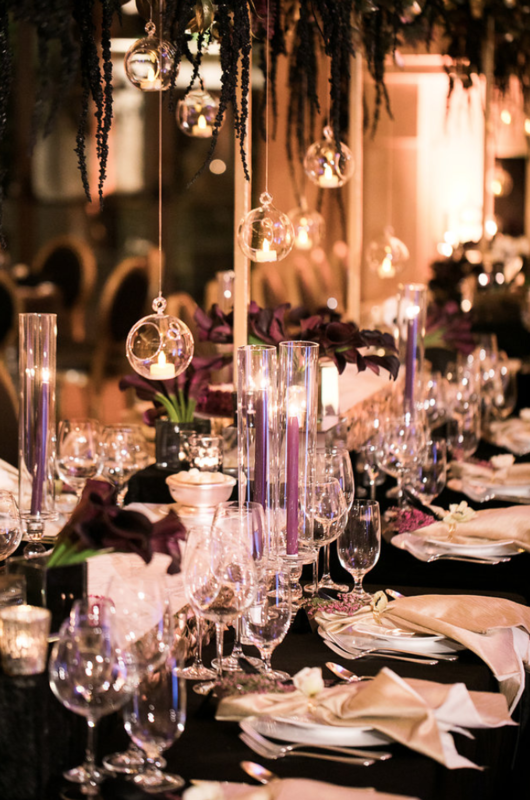 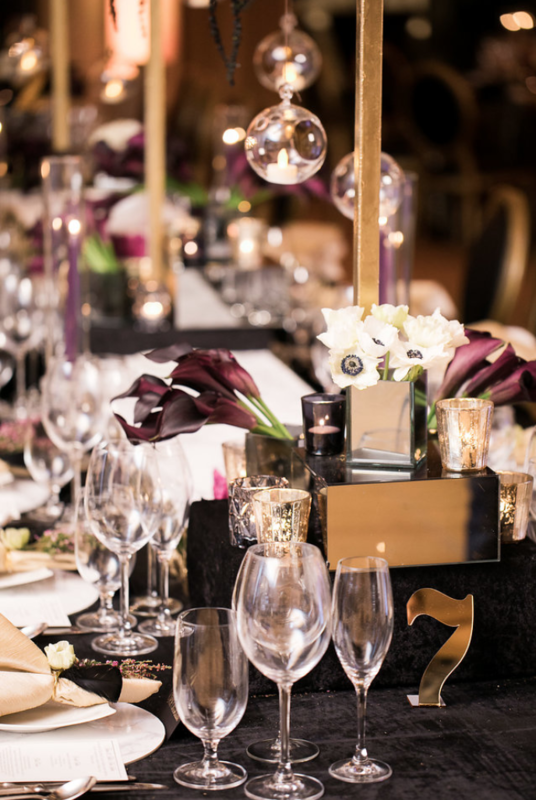 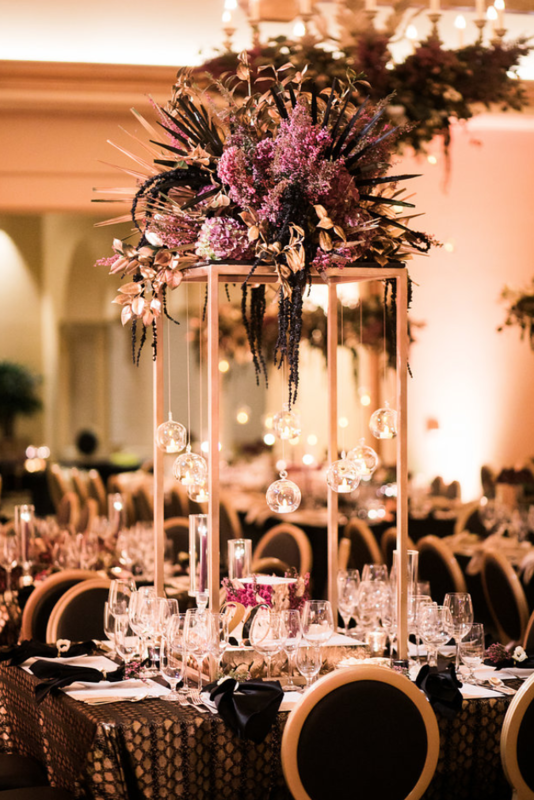 Of course, we would not have achieved this dramatic golden glamour without the talents of an incredible team of design vendors. 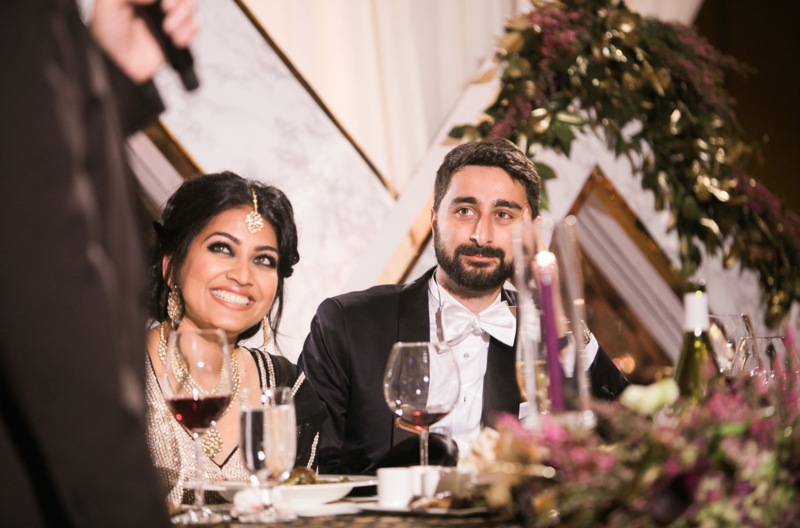 Thank you all so much for making this vision for Aditi & Hans — a reality!